Talk about going the extra mile…. When billiards aficionado Paul Lohnes was in the market for Brunswick’s ‘Monarch’ pool table—arguably the most coveted antique pool table created by the leading billiard authority—he brought friend and owner Stephen Kelly of Boston Billiard Emporium with him to California to scope out the find prior to purchase. Monarchs, built back in 1865, are an investment piece—an antique treasured by presidents, industry moguls, movie stars and sports heroes—and Lohnes trusted Kelly’s discerning eye and expertise. 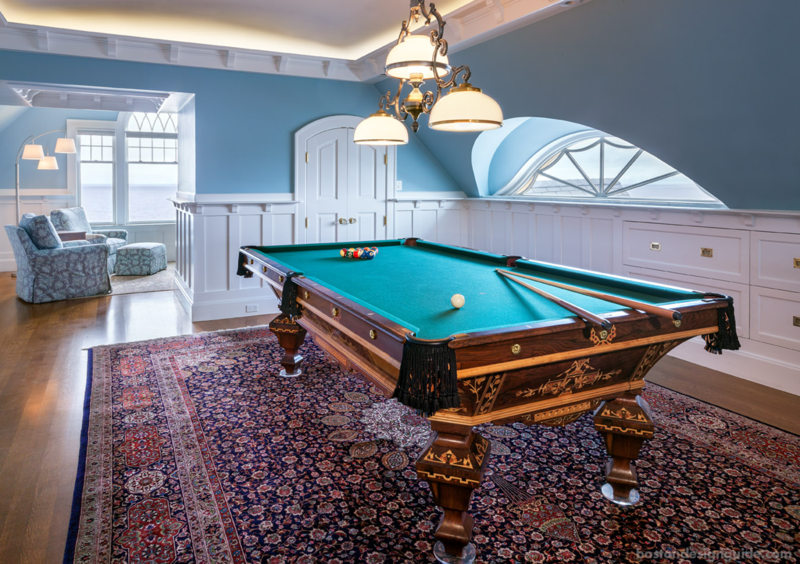 Kelly, who has owned Boston Billiard Emporium since 1975, has become known not only for his love of antiques but for the way he painstakingly restores period pool tables. 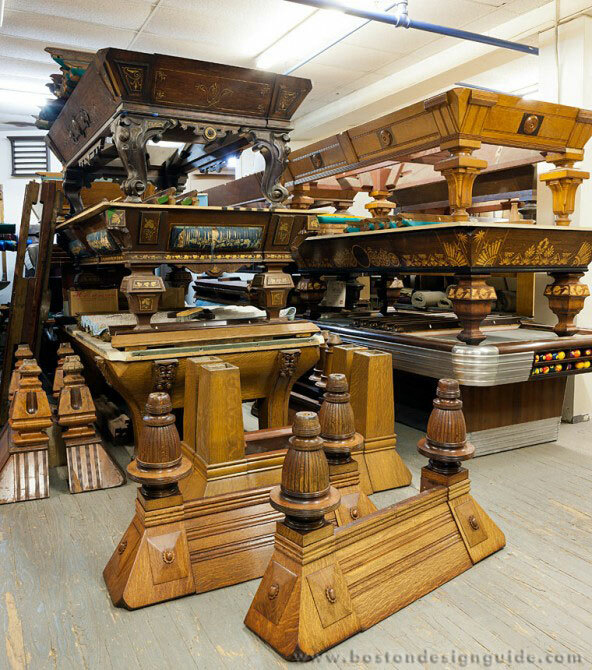 Kelly returns antique pool tables to the glory and luster of “The Golden Age of Billiards,” from the 1850s into the Great Depression, and sells both new and used billiard tables as well. Years later, when Lohnes, who has an appreciation for “the sociable game of billiards,” had an opportunity to purchase a Brunswick ‘Brilliant Novelty’ (the second most sought-after billiard table by the brand, says Lohnes), he agained turned to Kelly. Lohnes had viewed the pool table in pictures, but wanted to see it firsthand in Vermont with the expert. “As soon as I saw it, I knew what it was,” says Lohnes, his admiration clear. The table would need restoration, but Kelly was more than up to the challenge. Twice. Just after its purchase, Kelly returned the 1880s pool table to its original Victorian grandeur, deftly bringing out the finish of the mahogany, its details and exotic woods inlaid in the table, including Brazilian rosewood, an endangered species. 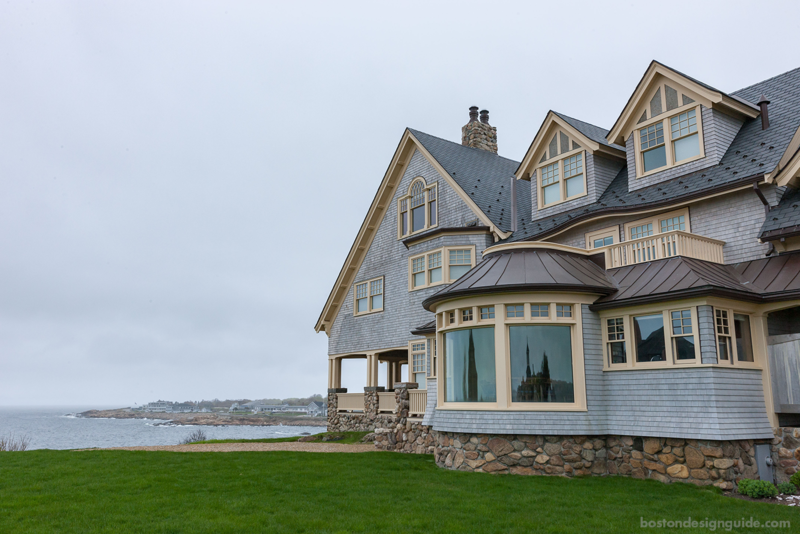 But before the table could take its rightful place on the top floor of Lohnes’ glorious Shingle Style home on the ocean in Gloucester, there was a fire to the garage and carriage house where it was being stored. Kelly again worked his magic. 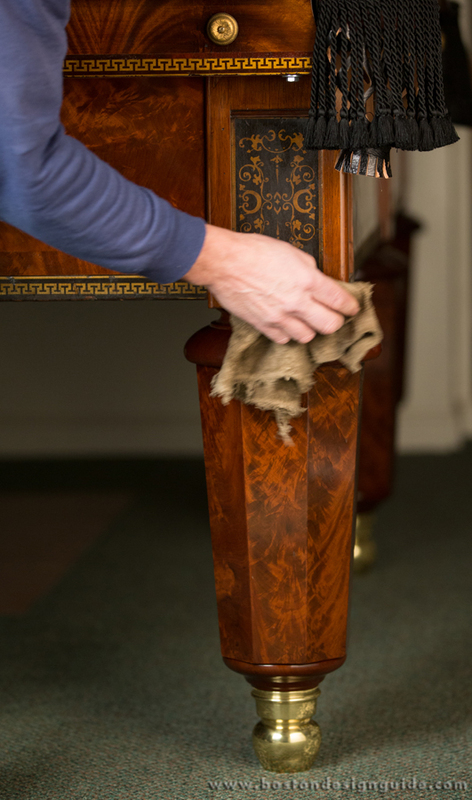 “It was a major project,” he says, and a complete restoration to the woodwork, cloth and cushions to rid the table of extensive water and smoke damage. It would have been easier to replace the table’s many intricacies over a restoration, he explains, but Lohnes wanted to keep the original. Kelly went in and stripped it all down with a knife and a syringe, painstakingly salvaging and refurbishing every detail until the damage was undone. Today, the table gleams in a family lounge and gaming space overlooking the sea. Photos by Warren Patterson except where noted.